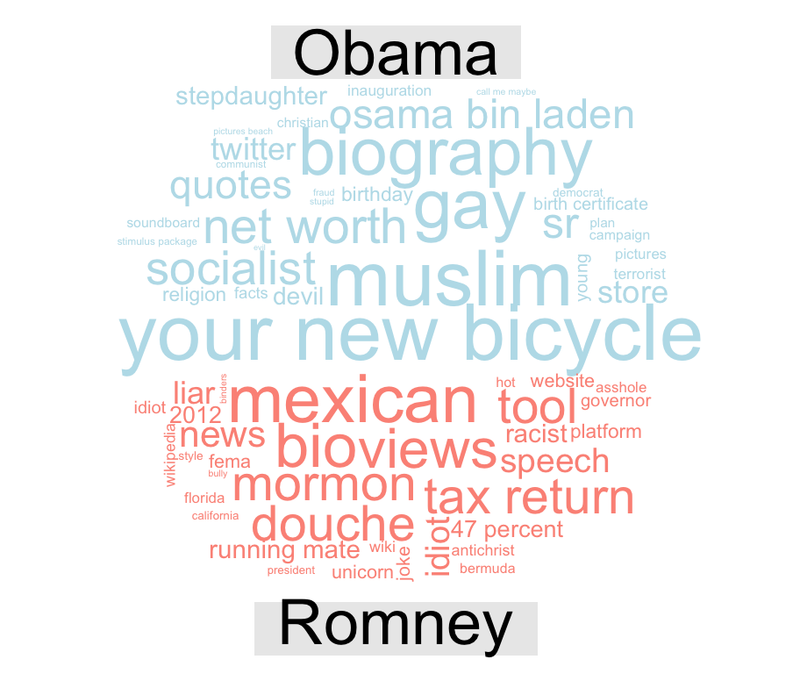 Below are updated word clouds for presidential candidates based on search engine auto-complete. 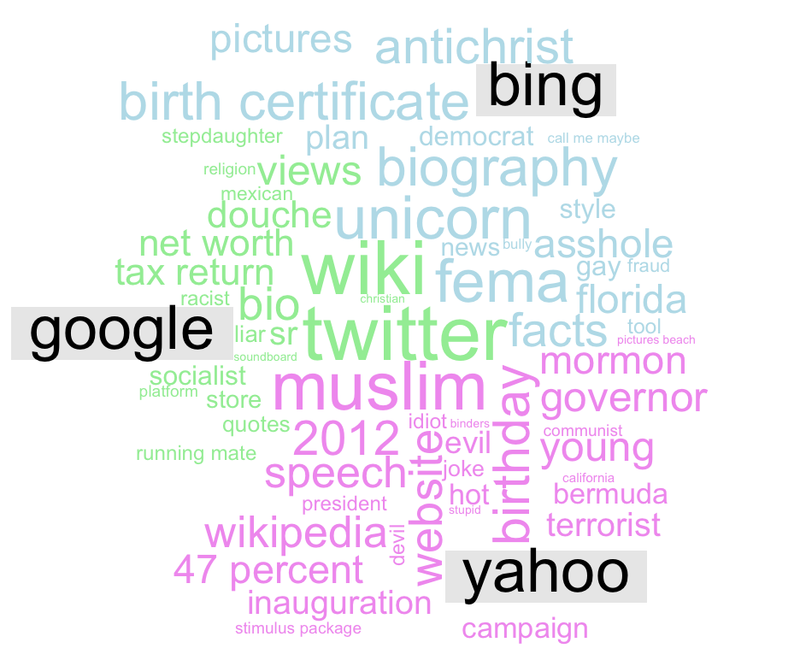 Here are the word clouds from August 30 and here is the description of what I am doing and the word clouds from August 17. The tables below are for the Google and Yahoo search “Michele Bachmann “(including a space after the last name) for the various dates indicated in the table. Each column has the date of the search and the top five Google or Yahoo auto-complete terms for the search. What does all this mean? I have no idea, but I suspect it will be difficult to win a Republican party nomination and then a general election with terms like “slavery” and “husband gay” attached to your name. Another thought: I wonder if the political affiliations of users are constant across the three major search sites or are there a greater percentage of liberals on Bing than on Google, for instance. 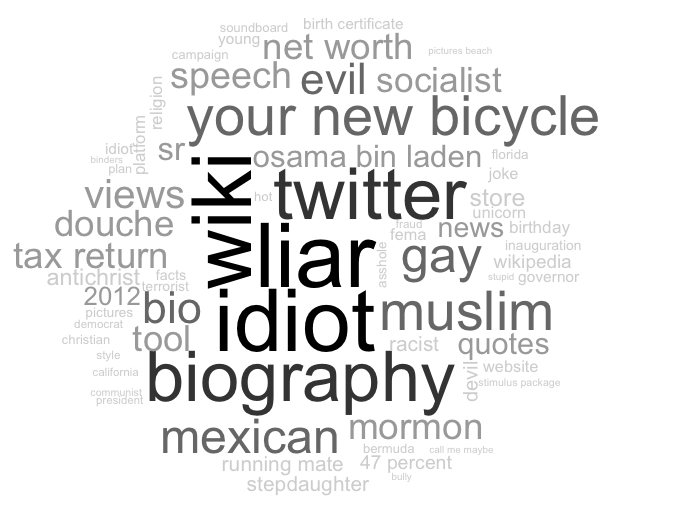 Could you use auto-complete terms to gain any insight into this? Or is this type of information perhaps already available?